All versions of Upjohn and Steris in multi-dose vials should be looked at with extreme caution as they are very difficult to get on the black market. Counterfeits are quite easy to obtain. 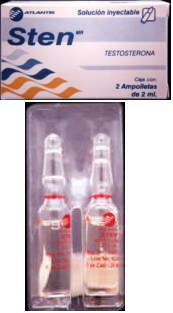 Real Steris products have the inking STAMPED into the box and the labels cannot be removed from the bottle. Any variation of that is definitely counterfeit. 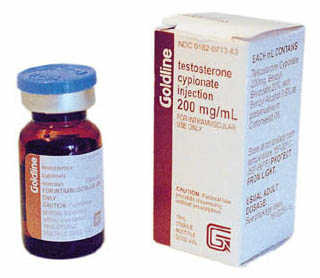 A running dosage of test cypionate is generally in the range of 200-600mg per week. When this was available for $20 per10ml bottle, many users would take a whopping 2000mg per week. This kind of dosage however, is unsafe, generally not needed and in today's day and age too costly. Should you find a legitimate American vial it would probably cost $200+. Quite often fakes are sold for as much so be careful. 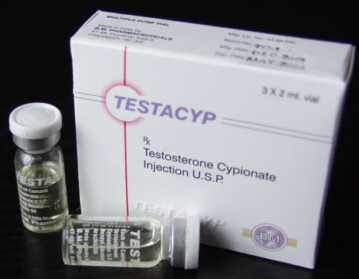 Order Real Testosterone Cypionate and other steroids by mail order!